Look no further than us for great digital aerial installation. 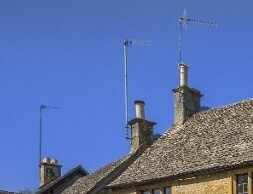 Speak to Carter Aerials Ltd based in Leighton Buzzard, Bedfordshire, for digital aerials that expand your viewing options. Don’t stress if your TV signal is on the blink. Carter Aerials Ltd deal with misaligned aerials all the time, and will have it fixed in no time. We fit and repair TV and DAB/FM radio aerials as well as installing Freeview. There’s no need to go without your favourite channels. Contact Carter Aerials Ltd for reliable digital aerials that offer a wealth of entertainment.